Highest performance even for smallest batch sizes. Modular construction. GMP design. Maximum speed. Highest power density. Safe scale-up. Tailor-made controls. 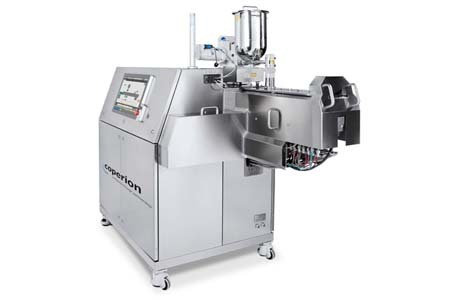 The ZSK 18 MEGAlab laboratory extruder is the smallest member of the ZSK family. This targeted and further development of proven ZSK technology extends the performance range of the series for R&D and production of pharmaceutical materials in a minimum quantity range.